Bible Study - St. Stephen, Martyr Catholic Church Merrillville, IN. Fridays after the Morning Mass Fr. Mike teaches Bible Study. All are welcome to participate. 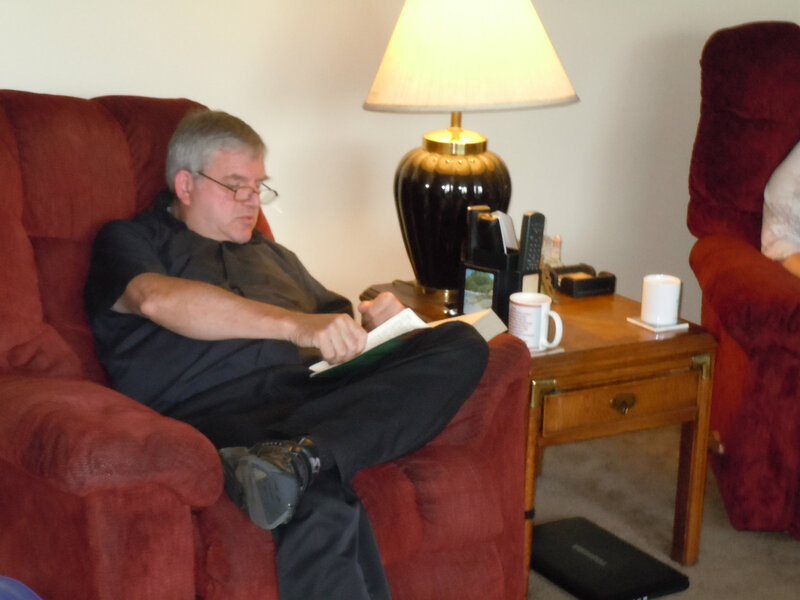 The group uses the book ” Abide in my Word, 2014 Mass Readings at Your Fingertips”. They read the next week’s first reading for the daily Mass, then they discuss the reading. Fr Mike gives insight into the the times and political conditions. The group also applies it to today’s time, to their spiritual growth and their relationship with Our Lord Jesus Christ, and God Our Father.